It slides on smoothly (when my hand is steady). I wish your prices were lower though. I love this product. On days when I have no time to put any other makeup on, I put a thin line of this and mascara on and I'm good to go. It is easy to apply and doesn't clump up. I can also do a dramatic cat eye look. The application is easy. I used to use Marc Jacobs liquid liner and it was so difficult to get it off at night. This doesn't run or smear but comes right off with makeup remover. Smooth, easy to apply and it stays where you place it! I've been using this product for years. It seems to be the same great product, but they have made the container smaller, so there is less product for the same price. Thank you for your review. While the packaging has changed, the size of the liquid eyeliner has not. The liquid eyeliner in the discontinued collection was 0.14 fl oz as is the Liquid Eyeliner in the new collection. Please let us know if you have any questions. 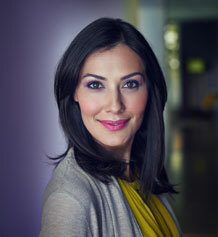 Kindly, your Dr. Hauschka Skin Care Representative. This liner doesn't end up smudged on my upper eyelid and that's what I was looking for as compared to what I was using. It is a smaller container so quite expensive however. This liquid eyeliner makes the eyes look very dressy. I like the way it finishes the eye make up after using your favorite eye shadow. I have a puffy eyes and this eyeliner define my eyes really well. This eyeliner is delicate and long-lasting. I am 70+ years, and it is very effective and long-lasting, without looking harsh. I love eyeliner, so this was a great find for me! I have sensitive skin so it's hard for me to find products that don't irritate, especially for the eye area- but this doesn't irritate! This is my go to eyeliner, and I love this for wings. Go bold, or subtle with this eyeliner! So excited to have finally found this beautiful liner. I have been wearing liquid liner for years and my old brand changed the brush- quality became poor and I needed a new go to. Found this liner. It is wonderful. Real brush makes the application so much better to control and the quality of the product is outstanding. I appreciate the clean line and easy removal I get with this product. A great eye liner, I've been using for 5 years and keep coming back. It's ok, but probably would not purchase again. This used to be my favorite eye liner. It still goes on smoothly and wears well, but since the packaging has changed, the brush seems slightly thicker than the former. I don't like it as much because of that reason. I have been shopping around for a good liquid eyeliner for some time. Have finally found it in your product. 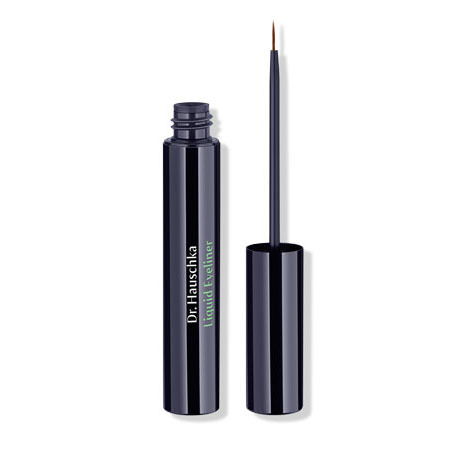 Easy to apply, liner does not smudge into eye crease during all day application. Wonderful product! I like the thin line it makes and the ease of application. I would recommend it. Loved the fact that this liquid eyeliner has a small thin brush. The application requires a steady hand but if you’re used to brushes you’ll love this one. The resulting thin line is very natural looking. The only downside was that my wand broke halfway through the container and I couldn’t finish it. I just ordered a second bottle and I’m hoping it was just a fluke. It works as it should -- and is a great eyeliner. Wears well. Best liquid eyeliner - don't usually use liquids but this is a great product! Maybe i'm not applying this correctly but I can seem to get this stuff on my eyes easily. The brush is so small I always end up poking my eye when trying to use this... I want to love this but it doesn't seem easy for me. Love the thin brush for natural application and product is very good quality, no reaction to ingredients. Very reliable eyeliner, easy to use. Because it's organic and cruelty free at the same time will definitely repurchase. Just remember (as I discovered) to dip the brush in the liner up and down several times to coat the brush before applying.At first it seemed like there was no liner. Went on very smooth.However,you have to create a semi-,thick line due to the thin brush.